Translucent orchids, fragrant roses, and blooming tulips - enjoy painting these botanicals using watercolors in a relaxed atmosphere. This course is designed for both beginners and those who wish to improve their skills. The objective of this 10 hours (5 sessions x 2 hours) course is to teach students how to create amazing botanical illustrations by applying the right painting techniques, shades, and color blends. 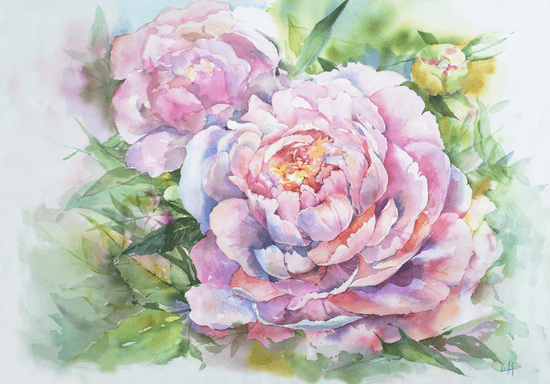 Your teacher Anastasiia, a talented artist, will guide you from start to end and with a little bit of patience and attention to detail, you will soon be able to create your own amazing botanical watercolor paintings.